SENNHEISER PXC 480 Review – If the Sennheiser PXC 480 looks extremely familiar, it’s because it’s practically the wired version of last year’s PXC 550 Wireless. 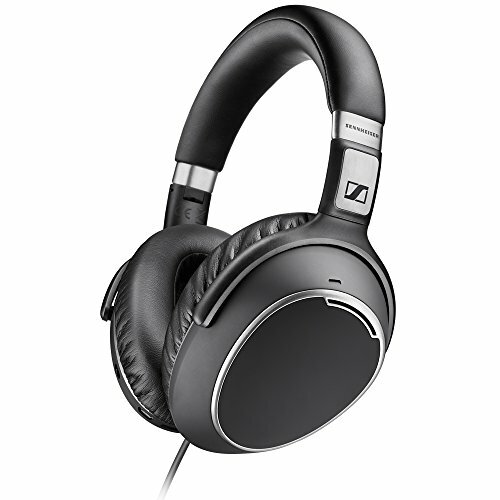 Sennheiser says it offers you the same build quality and audio performance, so what you lose in return for a lower price and better battery life is simply the wireless capabilities and some of the app-supported features. In terms of design, the PXC 480 is virtually identical to the PXC 550 save for the cable. It folds away neatly for storage, and of course offers the same high level of comfort thanks to the large cushions. Also worth noting, is that the ear cups swivel to let you easily get a good fit without too much clamping. ANC performance also seems the same as with the PXC 550. That’s to say – very good, but still just behind the Bose QC35 and the Sony MDR-1OOOXM2. We’d say it’s on par with the Bower 8. Wilkins PX too, but without the app support that allows you to adjust the level of noise-cancelling at will; definitely one of the better ones out there. The PXC 480 demonstrated excellent audio performance across the board in our testing, with great detail and clarity that’s worthy of the HRA tag. On a recording of Ottmar Liebert’s Fireopal for example, the headphones produced a very substantial bass but balanced it with nice, crisp mids in the lead guitar. Throw on something like John Legend’s Ordinary People, and you’ll get sparkling highs from his piano, as well as good clarity in the mids in terms of Legend’s vocals. No surprise then, that the headphone performs best with Hotel California by The Eagles when it comes to our formal test tracks. The intro starts with a nice mellow tone to the lead guitar, then brings in the cheers of the crowd nicely as the other guitars join in. Highs are nicely picked out, and there’s good weight on the lows in the form of the percussion drums that hold the beat. Needless to say, this is one of those headphones that really make you start up and listen. + Excellent detail throughout the audio range. The tiny button below activates ANC. 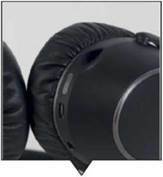 – Noise-cancelling could be better, even at its price. 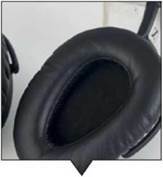 There’s no cushioning over the drivers in the ear cup.